This year Christmas seemed to creep up all of a sudden with December days swiftly passing by. 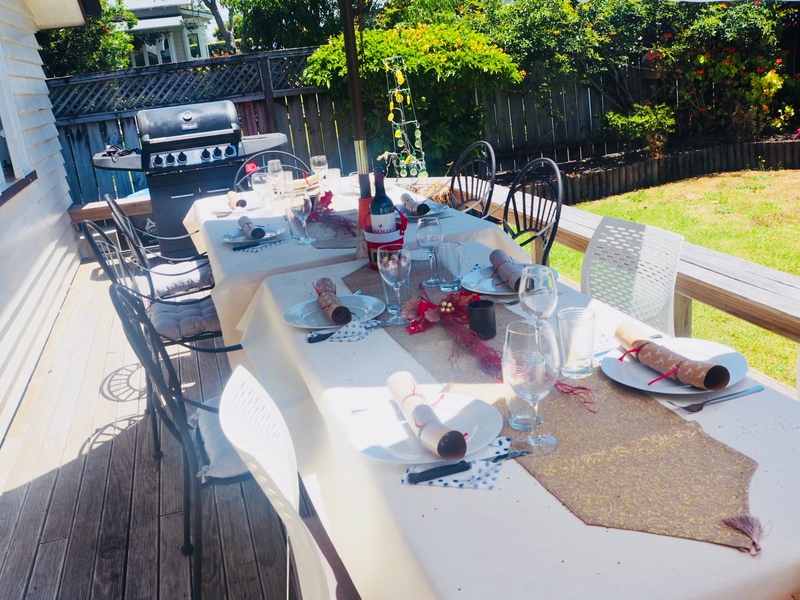 Before I knew it, it was Christmas Day and for us expats that means Christmas in the sun. 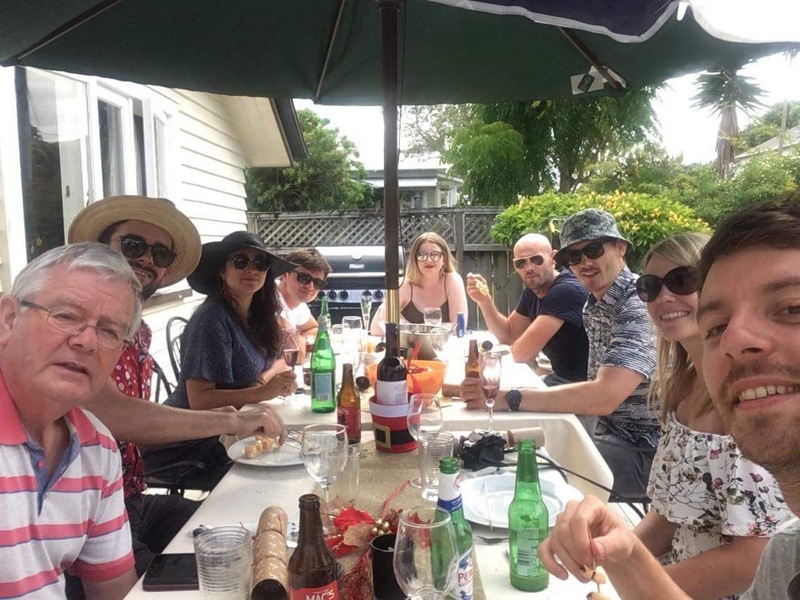 This always seems particularly strange if you’re from the northern hemisphere but is totally normal for Aussies and Kiwi’s and usually consists of a barbecue and an afternoon on the beach. 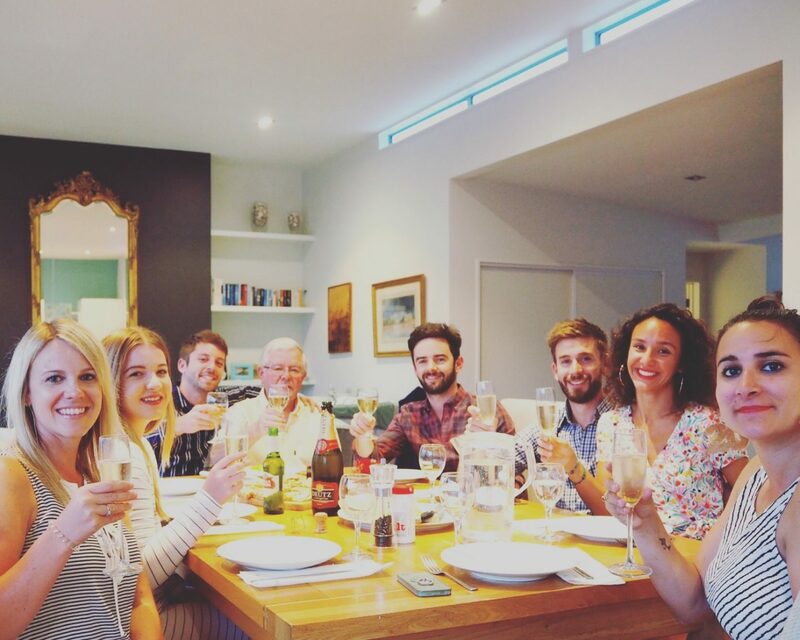 For us expats with our families on the other side of the world, this means gathering your friends (who are basically like family now) and celebrating together. 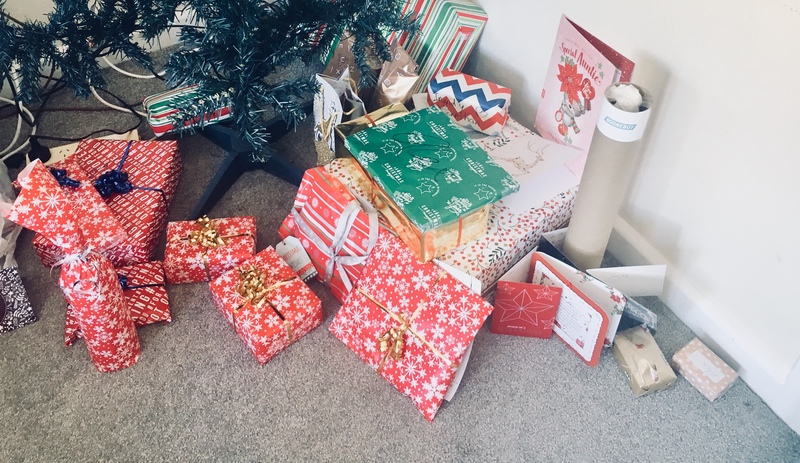 My morning started by opening presents from friends and family and then the mammoth task of getting Christmas dinner ready – at this point we may have been regretting volunteering to host it at our house! With a mix of nationalities between us we decided to do a selection of starters for everyone to share. 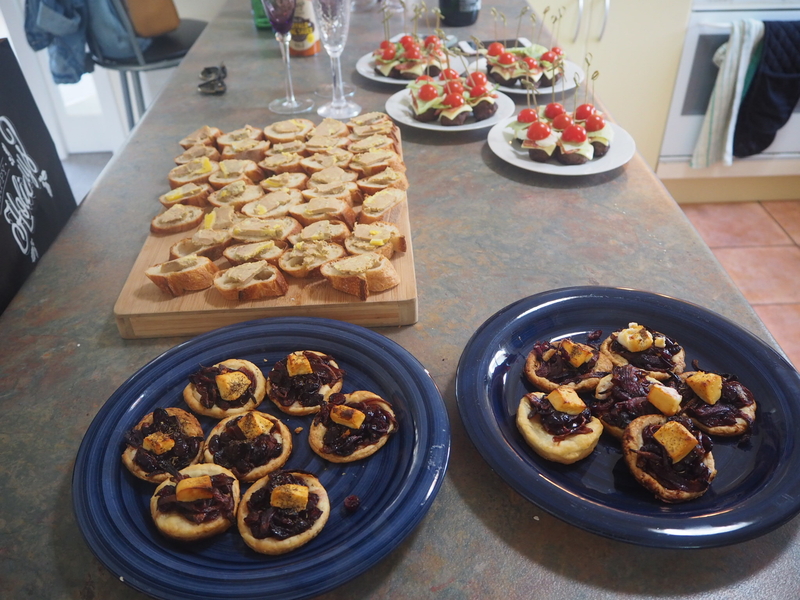 I did my signature caramelised red onion and goats cheese tarts which I’ll post the recipe for soon and my French flatmate prepared foie gras and mini burgers. 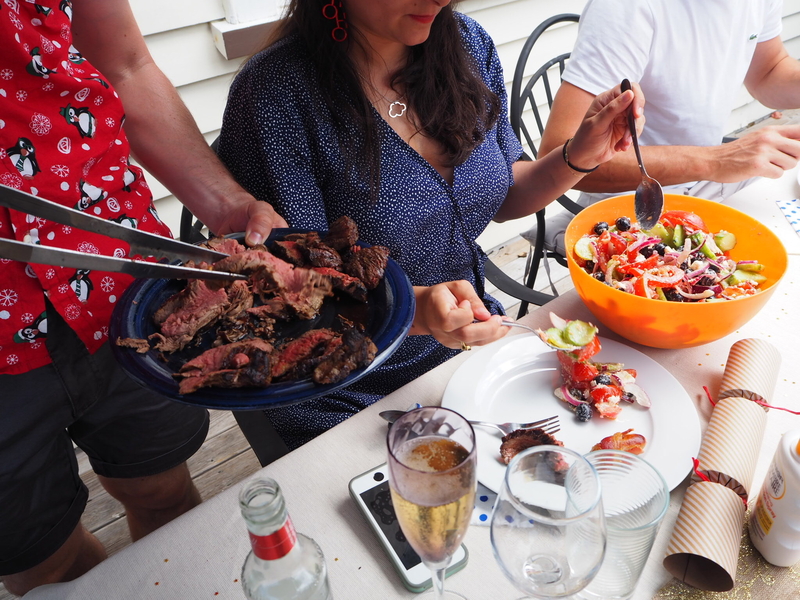 For the main lunch a barbecue was the order of the day and we feasted on fillet of beef, minted lamb chops and chicken wings. I decided to make Chelsea Winter’s kumara and bacon salad as a side dish. 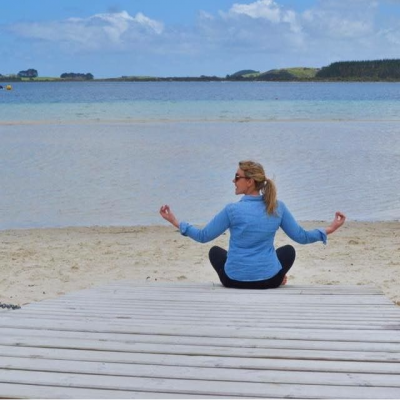 If you’ve not heard of Chelsea Winter, she won New Zealand Masterchef a few years ago and has a number of cookbooks out. I would definitely recommend getting your hands on one or all of them (I have two) as the recipes are foolproof and never fail to turn out perfectly. No fancy or unusual ingredients required either which is always a bonus. If you’re not familiar with kumara, it is the New Zealand version of a sweet potato. They come in two varieties – orange and purple. The recipe suggests purple but I only had orange kumara and it turned out fine with the orange. 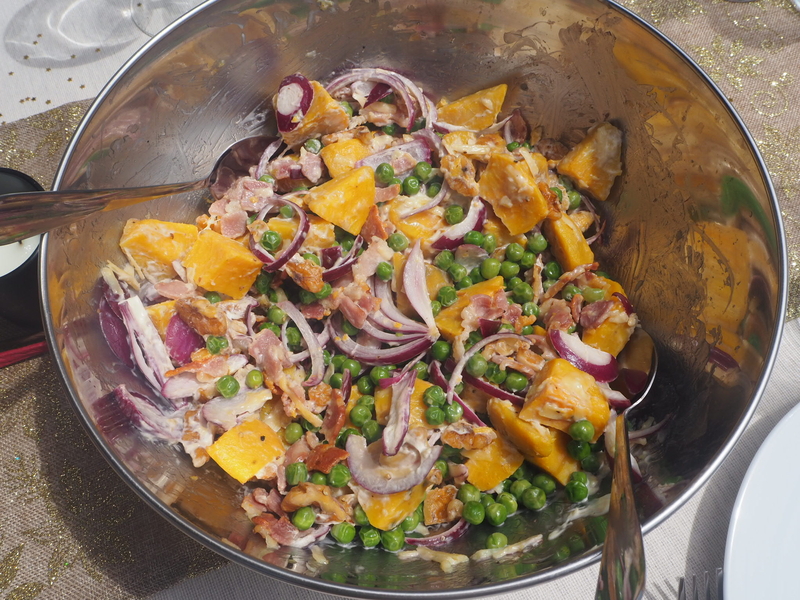 It’s a tasty potato salad with crispy bacon, peas, red onion, mayonnaise and sour cream. 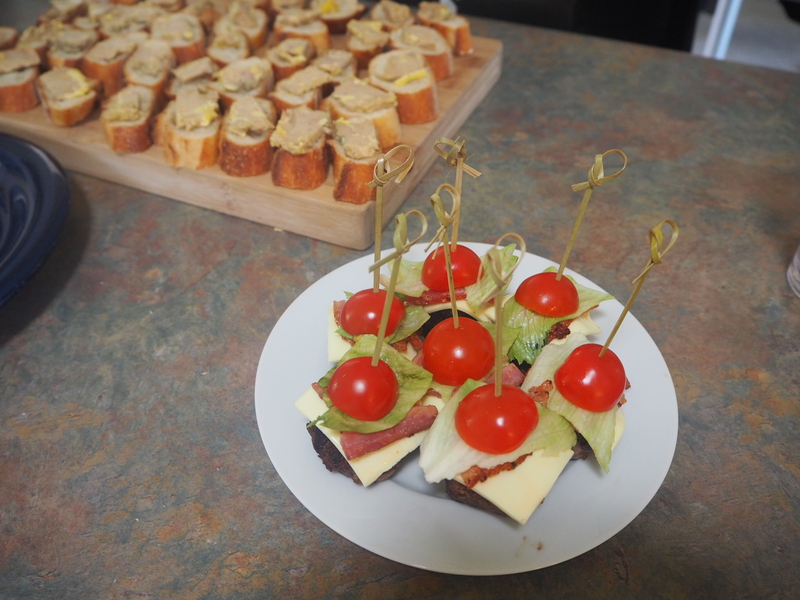 If you like the look of this salad, you can find the recipe here. 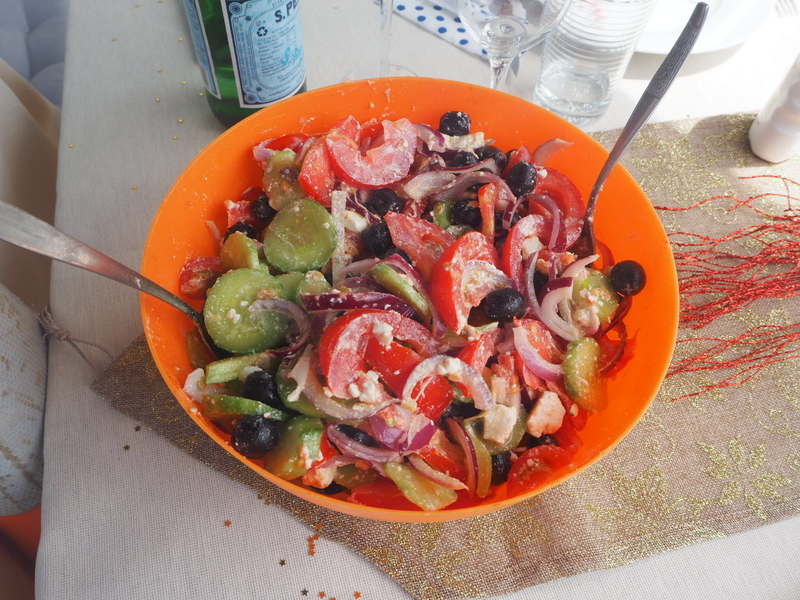 My flat mate made a Greek salad and if you’d like the recipe just send me a message and I will send you all the details. We had a great Christmas day and my friend Jodie made a delicious pecan pie for dessert but sadly we were too stuffed to eat it! 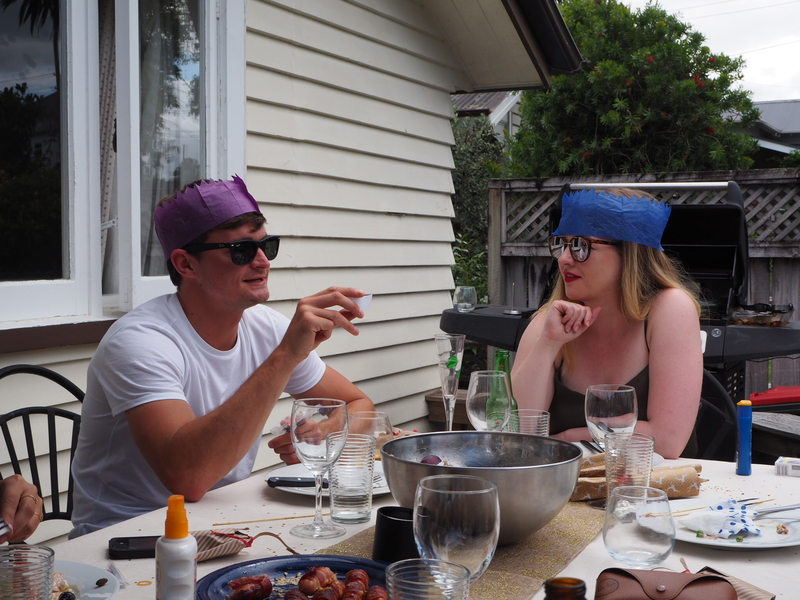 My flatmate’s dad was also visiting from Ireland so it was great to have him with us to celebrate Christmas. For the period between Christmas and New Year’s Eve, my work shuts down for a week so it seemed the ideal opportunity to take a trip somewhere. 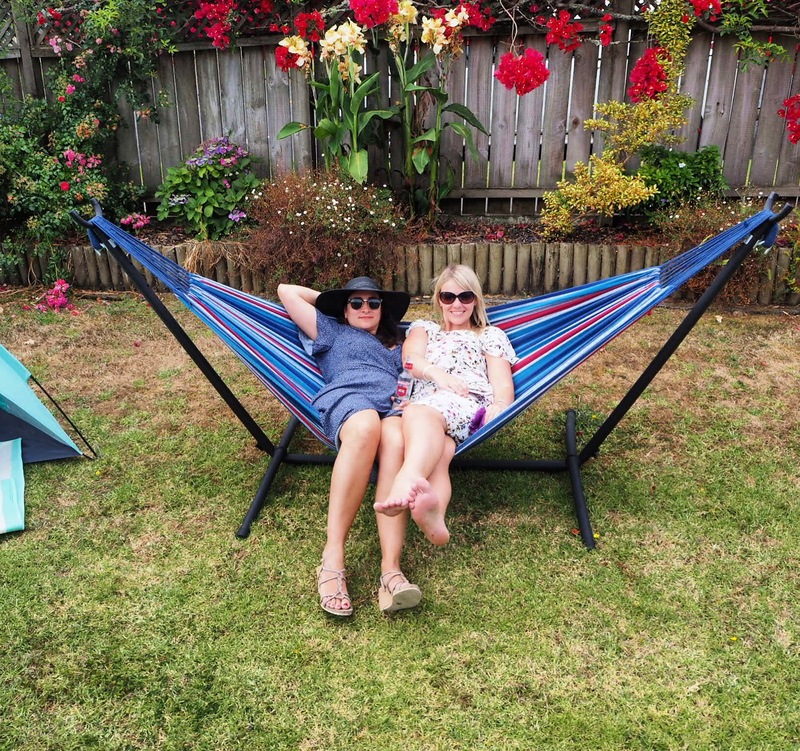 So on Boxing Day I flew to Nelson which is at the top of the South Island and spent the week visiting Abel Tasman National Park, Hanmer Springs, Kaikoura and spending New Year’s Eve in Akaroa. I will do separate blog posts for each place I visited as there is so much to write about and I have some great pictures to share with you. 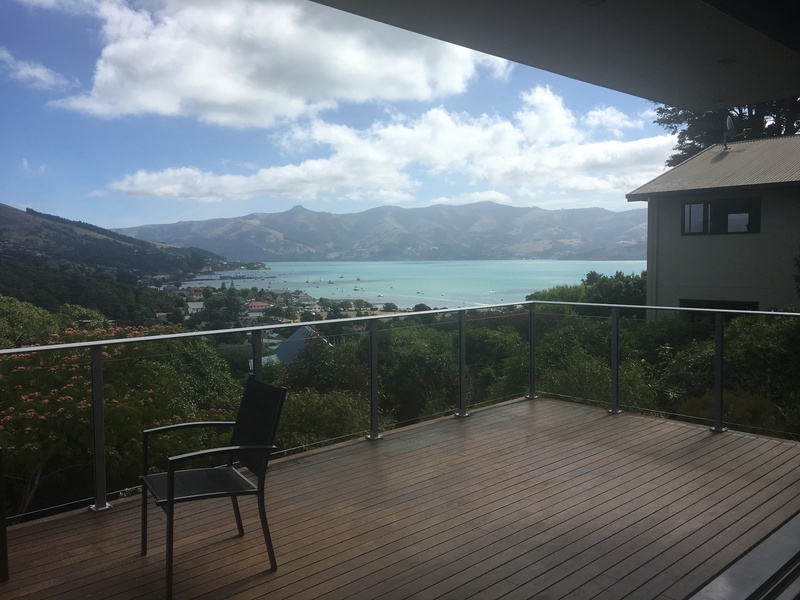 The house myself and my friends rented for 3 days in Akaroa had a view that quite literally took our breath away when we first walked in. 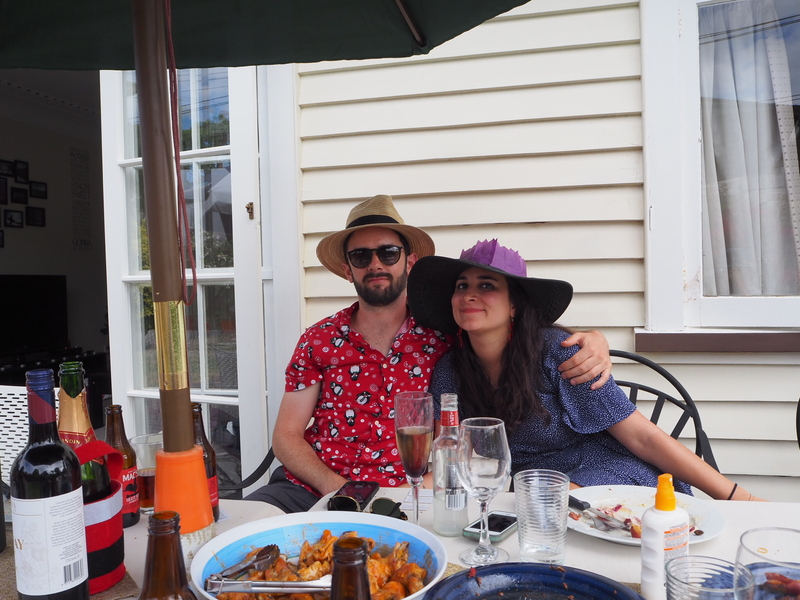 I will tell you all about beautiful Akaroa in another post but for now I’ll share what we got up to on New Year’s Eve. 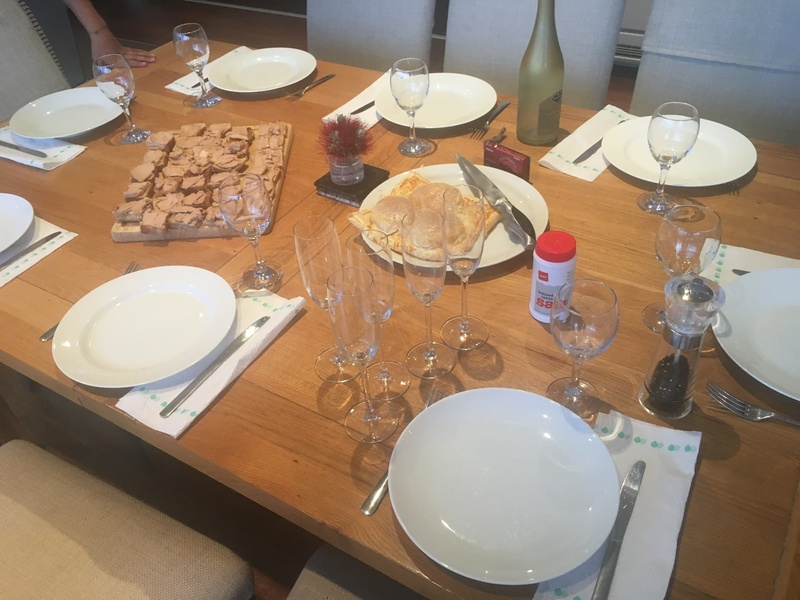 We rustled up a beautiful dinner of foie gras with toast and baked camembert to start followed by pan fried fish, dauphinoise potatoes and banana cake to finish. I decided to try something different with the camembert so instead of just baking it the oven I laid it on top of a sheet of puff pastry. I then covered it in cranberry sauce before putting another sheet of puff pastry over the top and wrapping it up like a parcel. I then made a few holes in the pastry with a fork and brushed it with beaten egg before baking it for around 20 minutes. It comes out all flaky and crispy and when you cut into the pastry the camembert oozes out. 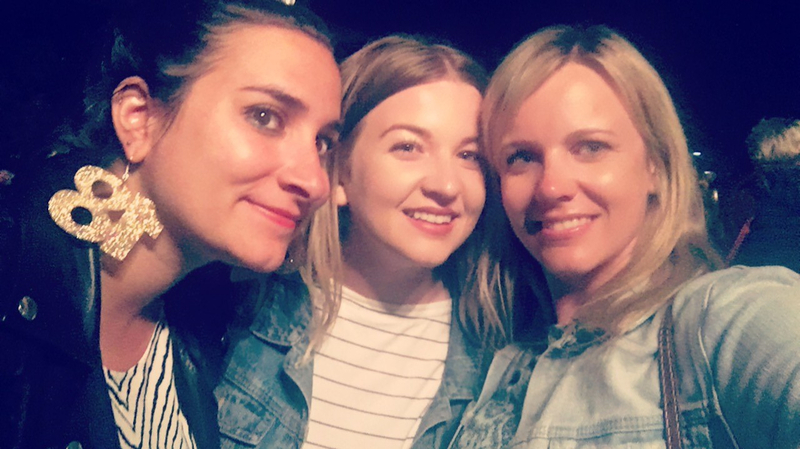 We welcomed in the new year in The Brasserie in Akaroa listening to a live band before heading back to the house for more drinks and dancing. 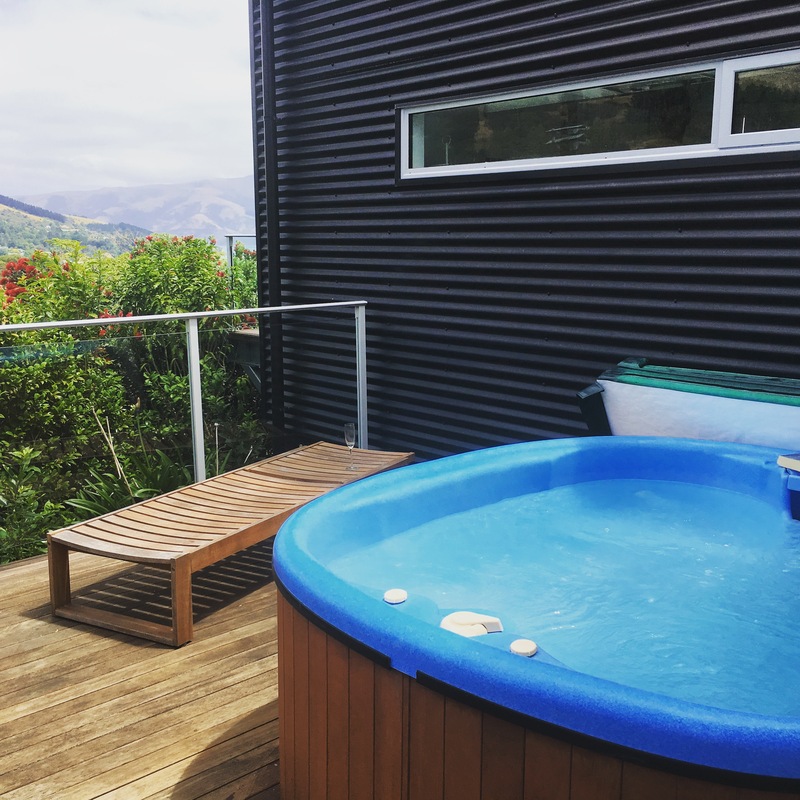 It’s safe to say that today I’m looking forward to shaking off the hangover by relaxing in here for the rest of the day. Happy New Year everyone! I hope your year is filled with lots of exciting adventures and travels. I’d love to know if you try any of the recipes out – please send me a picture if you do!